My wandering took me past this little creature today. See the little road it is traveling? 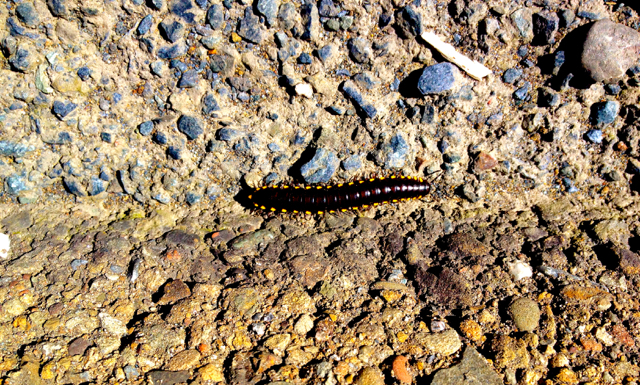 I wonder if that is the millipede highway it is on…. Looks like he has traveled there previously! It’s so good to keep up with your wanderings again!